Oftentimes, when we aren’t feeling like ourselves or our best, we may receive suggestions from others that we add or increase activity in our life in order to feel better. In this week’s post, NYC mental health counselor Robert Sullivan explains to us why the intention and engagement involved with the activities that we choose impacts whether or not the activity is actually helpful. About the author: Robert Sullivan is an NYC-based mental heath counselor working for a group practice in Midtown Manhattan. Robert has experience and passion in working with young adults, couples, college students, and members of the LGBTQIA+ community. 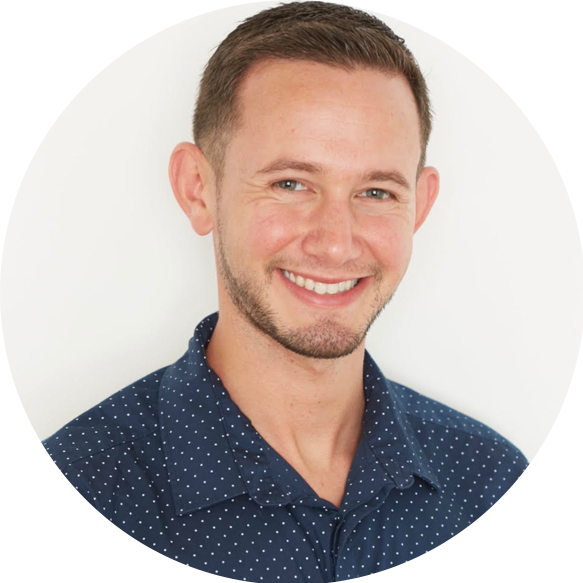 He loves being able to help his clients through periods of struggle with anxiety, depression, relationship patterns, stage of life shifts, and self-esteem. Robert believes that providing a warm and open environment for his clients to explore their inner world is the key to helping people heal and guide them towards living the life they want to. You can learn more about Robert and how to connect with him here. What’s wrong with “Just do something!” advice? Feeling blue or depressed? Have you been experiencing a lack of motivation and general feelings of tiredness? You may have been given the advice to “Just do something!” in order to feel better. Although engaging in activities can be helpful for reducing negative symptoms described above, actually choosing the right activity may not be so simple to do. When it comes to doing more activity, the what, why, and how behind determining which activity that you choose to do are important factors in how that activity helps to increase positive feelings or decrease negative ones. This comes down to two main factors: Intention and Engagement. If you are doing something with the intention of avoiding something else, the energy attached is going to be more negative and will likely be reinforcing negative cycles of thoughts, feelings, or beliefs. If we do something with the more balanced intention of nourishing our body/mind/spirit, the activity will naturally have a more positive energy. To address the what aspect of intentionality, ask yourself if the activity you are choosing to do feels like it serves your higher goal. For example, if you want to increase social interaction and then choose to do something solitary, the misalignment there is likely going to leave you feeling dissatisfied. In that case, a bonding activity with friends might be more suitable. The engagement piece is about being truly present for the activity. The less we are present in an experience, the less likely we are to see it as positive or feel that we received benefit from it. Whether this means choosing a specific activity that gets you more fully engaged, or setting it up so that there are minimal distractions (like by shutting off technology or allowing yourself a break from stressful thoughts), being more fully present will have a profound impact on the outcome. 1. Intentional self-care activity: This might be indulging in your favorite food, Netflix show, or book. Maybe it’s getting a massage or pampering yourself in some other way. The only rules are that it has to be intentional and it has to be for you. 2. Mindful activity: Connecting with nature is a great way to be mindful and reduce distraction. Nature settings engage our senses and ground us more to the present moment. If that doesn’t vibe with you, anything can be turned into a mindful activity if we increase awareness and decrease distraction. 3. Social engagement activity: These types of activities could be helpful for people who recharge their batteries by being around others, or those who want to cultivate deeper connections in their life. They can be bigger group activities or smaller more intimate ones. Remember to assess your higher goal! 4. Physical activity: Movement, exercise, and body awareness all have major potential health benefits (both physically and mentally). These activities can range from intense workouts to a light walk to dancing to just being aware of sensations in your body. Yoga is a personal favorite of mine. Do what works for you! The main message here is that it doesn’t have to be a certain activity that you “should” do, nor should it be just anything. As long as you are reflecting on your intentions and level of engagement, you are taking the space to do something to promote your wellbeing. That in itself can be a powerful tool for transformation and growth. Thank you, Robert, for helping us to understand why the intention behind the activities that we choose to help us feel better and the level of engagement while we do these activities matters. If you would like to learn more about Robert and his approach to therapy or connect with Robert, please visit this page. Any thoughts, questions, or topics you’d like to see featured on our blog? We’re all ears: connect@mywellbeing.com or chat with us on social @findmywellbeing.